As I’ve mentioned many times, one of the main goals in mathematics education is to raise up confident problem solvers. And while there are many ways to go about solving math problems, and we as adults may often see strategies as common sense, these are things that need to be taught. Giving kids as many tools as possible will set them up for success so that you can “let them loose” and see their creative minds work and explore. 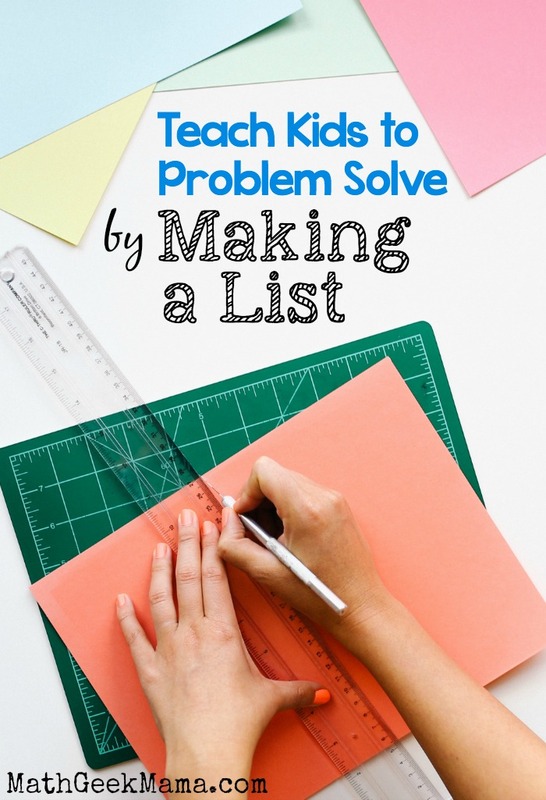 To continue my series on teaching kids to problem solve, today I’m going to discuss problem solving by making a list. This was always a hard approach for me personally because it doesn’t seem like math, and can often be time consuming. I mean, who really wants to sit and list out all the possible solutions to a math problem? BUT, it is a very useful strategy, and as we’ll see, learning to be organized and systematic is the key (and will also save tons of time)! So when is it useful to make a list? Basically, any time you have a problem that has more than one solution, or you’re trying to solve a combination problem, it’s helpful to make a list. But not just any list of possibilities. That will feel useless and frustrating if you’re just trying to pull out possibilities from anywhere. And more than that, it’s very likely possibilities will be skipped or repeated, making the final solution wrong. On top of that, it will probably be more time consuming to make a list if you don’t have a systematic approach to it, which is probably why I was never a fan as a kid. No one wants to just sit and stare at the paper hoping solutions will pop into their brain. Organizing the information in a logical way keeps you on track and ensures that all the possible solutions will be found. There are different ways to organize information, but the idea is to exhaust all the possibilities with one part of your list before moving on. For example, say you’re trying to figure out all the different combinations of ice cream toppings at your local ice cream shop. They have 3 different flavors (chocolate, vanilla and strawberry), but also have 4 different toppings (nuts, whipped cream, chocolate candies and gummy bears). If you just start listing different possibilities without any kind of structure, you’re bound to get lost in your list and miss something. So instead, list all the possibilities for chocolate ice cream before moving on to vanilla. Chocolate: just chocolate (no toppings), chocolate with nuts, chocolate with whipped cream, chocolate with candies and chocolate with gummy bears. Now we see that there are 5 possibilities if you get chocolate ice cream, and so we can move on to vanilla, and then strawberry. The key is to start with the first flavor and list every possible topping in order. Then move on to the next flavor and go through the toppings in the same order. Then nothing gets skipped, forgotten or repeated. After completing the list, we see that there are 15 possible combinations. Some students may even notice that there will be 5 possibilities for each flavor, and thus multiply 3×5 without completing the list. (That’s another great strategy: look for patterns). Even if a pattern is not discovered, however, completing the list in an organized, systematic way will ensure all possibilities are covered and the total (15) found. 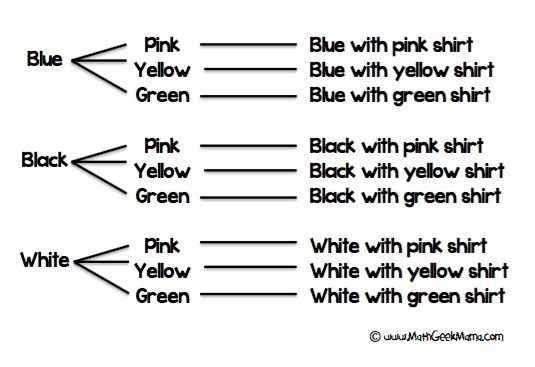 Sarah is on vacation and brought 3 pairs of pants (blue, black, and white) and 3 shirts (pink, yellow and green). How many different outfit combinations can she make? Then it is very easy for students to see that there are 9 different outfit combinations. Was this helpful? 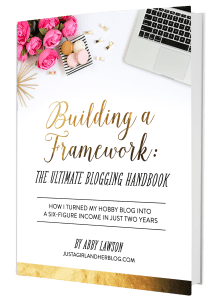 Is it a strategy that you share with your kids? 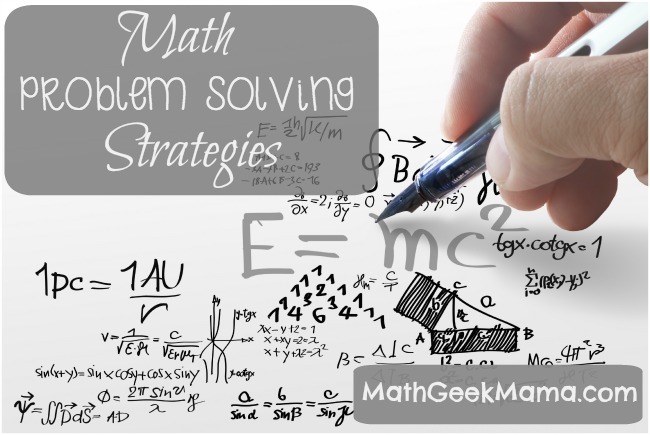 If you're enjoying this post, you may like my FREE ebook, Strategies for Problem Solving: Equip Kids to Solve Math Problems with Confidence. 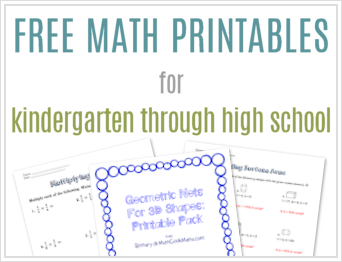 Join the Math Geek Mama community and get this FREE as my gift to you! PLUS, it includes a handy summary chart for kids' notebooks! Success! Now please check your email to confirm your subscription and download your FREE ebook. I’m really liking this “problem solving” series! As someone who’s not so great as problem solving, these tips are going to come in handy when helping my daughter! Thanks for sharing at the Thoughtful Spot! 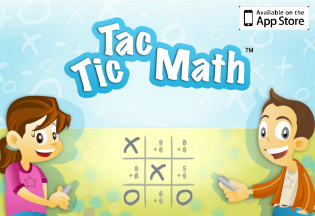 I was never very good at math, and unfortunately, my daughter isn’t great at it either. I came across this post on Hop (on the Hip Homeschool Moms site), and I love it! I’m going to read the other articles in the series too. I would love to help my daughter enjoy and understand math, and I’m hopeful that your posts will help me do that! Thanks so much for sharing your post with us on the Hop!